In this guide, I’m going to share with you a simple step-by-step method for how to start a travel blog from start to finish. Right now, if you commit to starting a blog and maintaining it, the potential benefits and opportunities that can come as a result of blogging are endless. You might need some coffee, but follow these steps, and you’ll soon have your very own blog! In 2008, a few weeks after graduating from University, I traveled to South America. 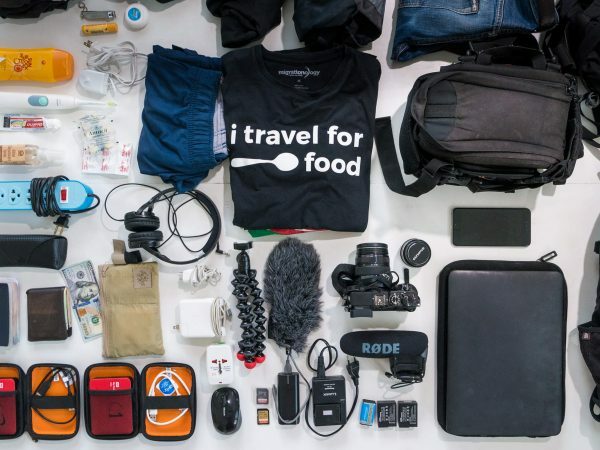 Armed with my point-and-shoot digital camera (I think it was a 3.2 megapixel), I was ready to travel and eat, and take as many photos as I could. After a few months of traveling, mostly in Argentina and Chile, I returned to the US for about a month to attend the wedding of my sister. While pondering this, and while surfing the internet, I decided to start a travel blog. I could blog as a way to keep my family and friends updated about where I was and what I was eating, and to just remember the things I did for myself – like a personal (but public) journal, all in one. I had zero experience of how to start a travel blog. You don’t need to be a designer or coder to start your own blog. And so, having little clue what I was doing, I decided to figure it out. I registered migrationology.com, and decided I was going to start blogging as I traveled. Just after starting my first blog, I bought a one-way plane ticket to Asia (Bangkok to be more specific), this time, with no plans to return to the US anytime soon. A lot has changed since the beginning of 2009, when I first started migrationology.com. I’ve learned many things… not just about blogging, travel, and food (though I’ve learned loads of both), I’ve also learned about writing, internet marketing, social media, psychology, freelancing, website maintenance and design, and more. Starting my initial blog, and becoming a blogger has easily been one of the most rewarding things I’ve ever done (and it can be for you too). NOTE: Before we proceed, I just want to let you know that you DON’T need to be a computer engineer or a coder to start a blog. I consider myself an ordinary guy who just loves to travel and eat, and I figured out how to make a blog, and I’m 100% positive you can do it too. So I thought, I would just type up everything I’ve learned about blogging, and try to break it down into a simple 5 step process, so you can easily start a blog too. But before we jump into it, I’m just going to quickly go over what a blog is, and how it functions. A blog, or a weblog, is basically a website that’s updated with posts. It can really look like any other website, have a home-page, and a resource page, and in fact many websites you probably read are blogs (or they are set up like blogs), even if you didn’t know it. Domain – A domain is your own unique url, mine is migrationology.com. Yours could be yourblog.com. Host – A host is a server that stores your files, so when someone types yourblog.com into a browser (like Google Chrome or FireFox), your blog will show up on their computer screen or mobile device. Starting out, I recommend Bluehost which I used in the video to create markwiens.me. WordPress – WordPress is an open source platform for building blogs and websites, and archiving all the content. Design – A design is the face of your blog, how it looks. Start blogging – One of of the biggest aspects about starting to blog is simply blogging. What I love about blogging is that it’s not just about writing, but instead you get to mix in words and photos and videos, and be creative – however you want. Now that you’ve watched the video, let’s begin with the 5 steps we talked about. This post is a little long because I really want you to understand what a blog is, and what makes a blog function. However, it’s really very simple to create your first website, and it should take just 10 – 30 minutes. The hardest part is thinking about what domain you want to choose. Your domain is the URL of your website, like food.com or markwiens.me. Why can’t you just use a free blog, like blogspot.yourblog.com or wordpress.yourblog.com? That’s a great question, and you could. However, the reason it’s much better in my opinion to register your own domain and host it, is because you then own your content. If you blog on a blogspot, your content is owned, and can be controlled by blogspot. Having your own domain (yourblog.com), you’re able to control your content, deal with it how you like, and do things like put up advertising, or sell your eBooks. It just gives you a lot more freedom, plus it looks much better. Also, it can be a real pain to begin with a blogspot or other blog provider, then down the road, switch to your own domain. If you’re serious about blogging, don’t mess around, just invest in your own unique domain now. Note: If you plan to sign up for hosting, like with Bluehost, which I’ll cover in step #2 below, you can often get a free domain, when you sign up for hosting – so if you plan to sign up for hosting, you could start at Step #2. Where do I register my domain? GoDaddy – I started with GoDaddy, and I still have all my domains registered here. They used to have a bad reputation for customer service, but I haven’t had any problems myself, and they make it easy to register domains. Namecheap – This is another big domain registrar, and although I don’t have experience with them, I think it’s a great option. With your hosting account – Like I mentioned in the note above, and I’ll mention again in step #2, if you’re going to get hosting for the first time, you can often get a free domain with it, so that’s a nice added bonus. If this is your case, you can actually jump over to Step #2 right now. Price: About $10 – $13 per year, a small investment, and really worth it. A website or blog are a bunch of files, stored on a server (basically a computer that’s on all the time), that can be accessed from a browser (like Firefox or Chrome). A host is the computer (a dedicated computer called a server) where your blog files are stored, and without it, no one would be able to access your blog / website. Hosting is kind of like renting an apartment or an office, it’s the place where you store your stuff and start building your blog. So as you can imagine, your host is very important. Everything you work on and write about will be stored on your host. If your host has a record of being out of service (that’s called downtime), or not very tight with security, that’s not a good thing. You wouldn’t want your apartment to get broken into, would you? Same goes for your travel blog. That being said, there are many great hosts to choose from, and they can be very affordable – just a few dollars per month. 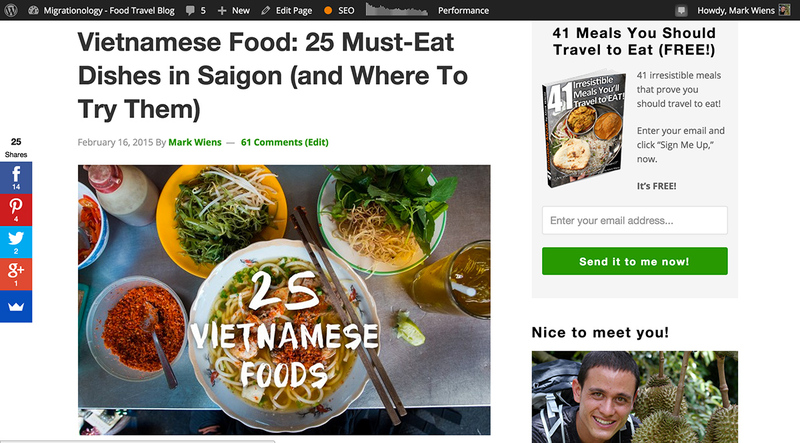 Over the course of running my travel and food blogs, I’ve changed hosts a number of times. I started off with a host I wasn’t too happy with – they just didn’t have great customer service and didn’t handle my website traffic well, and the security of my site wasn’t good enough either – I had a number viruses and malware scares (it’s not a fun experience when you’re nurturing your own blog). I’m now with a host I’m extremely happy with called Web Synthesis, though I wouldn’t recommend it if you’re just starting a blog, because it’s quite expensive, and there’s no need for it from the beginning. Shared hosting – This is what you should begin with (I formerly used shared hosting) – it’s the cheapest option (often around or under $5 per month), and it’s really all you need to begin with. Your files will be stored on a shared server along with other websites, and for just about all your blogging needs, this should be more than adequate. VPS hosting – I’m now using VPS hosting for both migrationology.com and eatingthaifood.com. VPS stands for Virtual Private Server, and it allows for more space on the server and it will handle more traffic to your blog. I chose to use VPS hosting to improve the speed and handle the traffic of my blogs. Dedicated hosting – Some hosts will offer dedicated hosting, which typically means you have your own dedicated server, all to yourself. It’s not really necessary unless you have a high traffic site, so at this point I don’t think you need to worry about this at all. Bluehost (starts at $3.49 per month) – Bluehost is one of the best options for hosting – they provide an easy to use interface, one-click install of WordPress (which we’ll be setting up in Step #3), good security, and customer service. 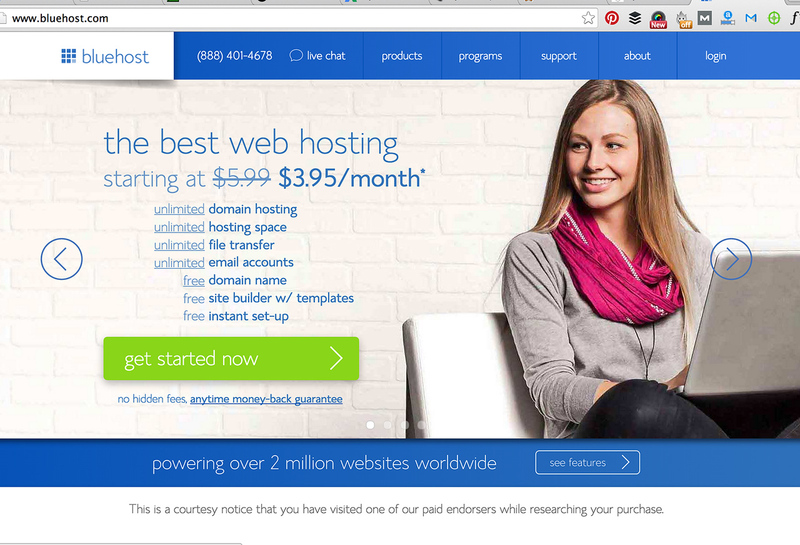 On top of that, for the quality of their hosting, it’s hard to beat their prices. I have a hosting account with Bluehost, and so far I’ve been extremely happy with them, and I would strongly recommend them if you are starting a blog. Web Synthesis (starts at $47 per month) – I now use Web Synthesis to host both of my main two blogs. It’s a premium host, that caters directly to sites using Wordpress, and I have VPS hosting. I pay $97 per month to host my sites on Web Synthesis, and though that’s expensive, for where my sites are at in terms of traffic, and the goals I have for my blogging, I’m very happy with their hosting. WordPress is free piece of web software that can be used as a blogging platform and a content management system (in simpler terms, it’s the program your blog operates on). According to their website, more than 60 million blogs around the world operate on Wordpress, and in my opinion it’s the blogging platform standard. Thousands of websites you’ve probably used, like The New York Times and Food Gawker, use WordPress to power their websites. WordPress.org (.ORG)- This is the open source free software that we’ll be using. WordPress.com (.COM) – This is where you can start a free blog, and it will look like this: wordpress.yourblog.com. But if you’re reading this guide on how to create a travel blog, I’m sure, at least I hope you’re ready to invest to use your own domain and host. What I explained above is just for you to know (and I think it’s important to learn), but you actually don’t even need to go to wordpress.org, you can install the WordPress.org software, and have it show up on your domain, directly from your hosting account. Once you have your domain and your hosting account ready, you will be able to login to your hosting account. Often it’s called the dashboard, or panel, or something like that. Almost any hosting service you choose, will offer what they call an auto, or one-click install of WordPress. 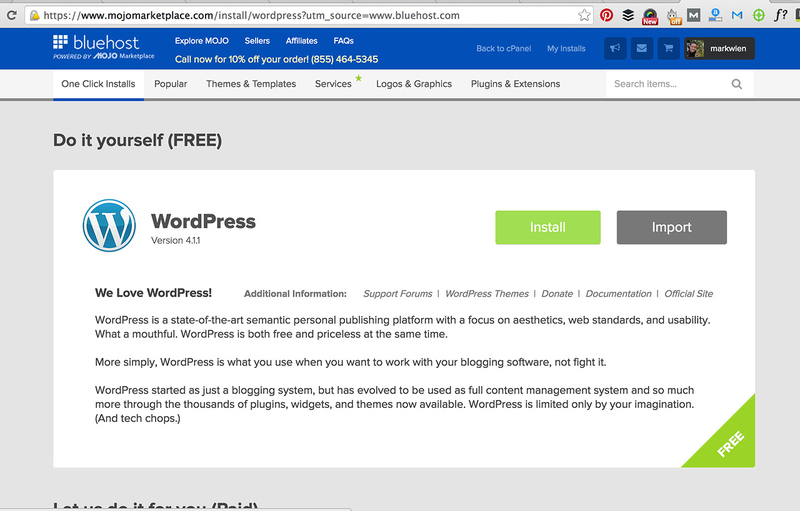 This means that all you have to do is find it in your dashboard, and choose the “click to install WordPress” button. It usually takes just a few minutes or so to install all the WordPress files. I’ll cover the information in detail for Bluehost, since I have an account with them, but the steps should be relatively similar if you choose a different host, and the host you choose will have specific information about how to install WordPress. Anyway, basically just click on the domain you want, then click on install WordPress, and wait until the install completes. Your blog is now live to the world. So much potential is already at your fingertips. Using the default username and password, login to your new blog, and you’re ready to start installing plugins and ready to start writing. Along with installing WordPress, you’ll need to install a few plugins. Plugins are little extra snippets of software (code) that will give you more options – from making your website function better to making it look better. WordPress SEO by Yoast – SEO stands for search engine optimization, but it basically means optimizing your website and blog posts to best be found on Google and other search engines. Wordpress SEO by Yoast handles the backend side of SEO for you. Here’s a guide to setting up this plugin. Akismet – This should be on your core WordPress installation already, but you need to activate it by following the directions. It protects your site from SPAM. W3 Total Cache -This plugin helps to cache your website for a quicker user experience. I’ve linked to all these plugins, but actually the easiest way to upload them to your travel blog is by doing this: Go to your WordPress dashboard > Plugins > Add New > Search for it > Install Now > Activate. You now have now started a perfectly functioning blog. While publishing posts is the most important part of blogging, I think design is also huge. According to Neil Patel, on the internet today people have an average attention span shorter than a goldfish, and almost everyone, myself included, really do judge a blog by its cover, without thinking about it. If you see a blog or website that looks like it was created in 1998, no matter how good the content is, I can tell you right now, you and I both are probably going to click away in a couple seconds. Also, I remember for myself, when I had an old and tacky design that I personally wasn’t happy about, I wasn’t as inspired to write and publish articles. Why would I want to work so hard on a post, only to have it look tacky and old? I’m not saying you need a perfect website design. In fact, if you worry too much about design, you might never be fully satisfied. Instead, just make sure your blog is modern and has a design you’re happy with. The wonderful news is, you don’t need to be to a professional designer to make your blog look fantastic. I have almost zero design skills, and I was still able to create both migrationology.com and eatingthaifood.com on my own. You have a domain, yourblog.com, you have hosting, you have installed WordPress, now you need a theme. A WordPress theme is like the body skin of your blog, it is the visual aspect of your blog. As Studiopress* puts it, it’s the body of your car. When you install WordPress, you are automatically given a default theme, but by changing the theme, you can make your blog function and look much better. There are loads of free themes available, and you can browse them all on the WordPress site. Some are better than others, however, you can’t judge a theme based just upon looks because themes also handle other aspects of your blog behind the scenes – like security of your site, how well it’s optimized in searches, and how easy it is to customize. You may be able to find a free theme that will work well for you. However, if you want to take your blog to the next level, it’s a good idea to invest in a premium theme – for looks and function. A premium WordPress theme is usually (not always) better than a free theme because you have to pay for it – this often translates to better written code and better functionality. With a premium theme you will have better website security, current updates, customer service, better optimization, and typically an easier to work with interface. Since I started a travel blog, I’ve used quite a few different themes, from free to premium. 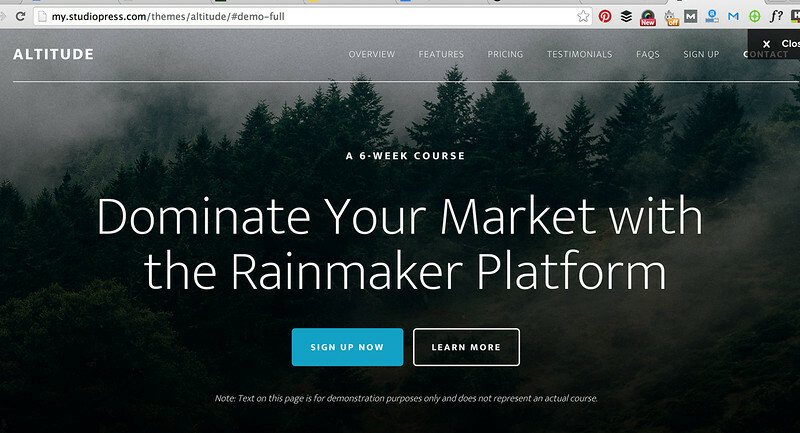 I’m now using the Genesis Framework with Studiopress, owned and operated by Copyblogger, and I’m very happy with it. Within Studiopress there are child themes. These extra themes that give your website an even more custom look. Once you’ve decided on a theme, you can then download it to your computer, and it should be a file like theme.zip. Next, go to your blog dashboard – you can get there by going to yourblog.com/wp-login.php and typing in your username and password. To install your new theme, go to Appearance > Themes > Add New > Upload Theme > Find your theme file > Install Now > Activate. Your new theme should be live on your site once you hit refresh. We won’t get into further customizing, but you can then proceed to easily add your logo, change the colors, your background, etc. 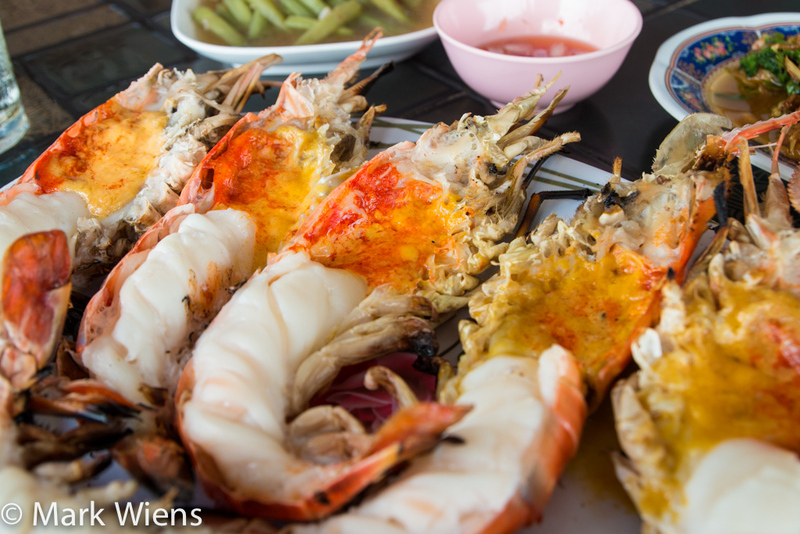 I love to blog about delicious things, like jumbo freshwater prawns! Now that we’ve learned how to start a travel blog, it’s time to start blogging. This might seem like an obvious step, but it’s not. I’ve witnessed far too many people follow steps 1 – 4, and start to blog, but then give up far too soon, before seeing any results. It takes effort, passion, and it can be very time consuming. That’s why blogging works best when you cover a topic you love. For me, it’s food, travel, and culture. Over the years I’ve attempted to start a number of other blogs, about things I wasn’t passionate about, and I failed, just because I ran out of will power and ideas and it didn’t take long before I burned out. Instead of blogging about anything and everything, focus your writing on what you’re really interested in – the niche you won’t get tired of day after day. Even if your blog is about travel, you can cover a certain aspect of travel, like food travel, fashion travel, or cultural travel. Write your blog posts in your own personal voice. Use your unique personality, and the knowledge you know about your topic. Create your blog posts so they are both personal and helpful. Note: When I was growing up I absolutely hated writing, and I never dreamed I would ever write and earn a living doing it. Little did I know, when I had the opportunity to blog about what I wanted, like food, I loved it and still do. Even if you don’t love writing, don’t rule out blogging. What is your goal for blogging? To keep a record of what you are doing, to make money, to connect with others? No matter what your goal, commit yourself to blogging, and persevere with it. This blog post has covered a simple step by step guide on how to start a travel blog, but most of the time I’m a food and travel blogger. I don’t blog about blogging very often. Copyblogger – Copyblogger is one of the original blogs I started following when I wanted to learn more about blogging, and it’s still one of the best resources on the web for tips on how to write more effectively. Quick Sprout – Run by Neil Patel, Quick Sprout is a goldmine of internet marketing tips, including how to optimize your blog or website for business and making sales. Smart Passive Income – Pat Flynn is another amazing blogger who covers successes and fails about building an online business and blogging. His site is packed with helpful information. Social Triggers – I owe it to Derek Halpern for inspiring me to start my e-mail newsletter. His content mostly covers internet marketing, and optimizing your site for conversions using psychology. Backlinko – This site by Brian Dean is all about SEO (search engine optimization) and offers great advice about building backlinks (which increase your sites authority) to your website and rankings. You’ve got a blog, now what? It all depends on what your goal and motivation is for creating a blog, but once you have a blog and are blogging, you have so many opportunities. You can choose to keep it as a place to share your thoughts or as your public journal, or your goal could be to turn your blog into a business to earn a living from anywhere in the world that has internet. For myself, I love blogging as a hobby and as a method of learning and sharing, but I also have chosen to do it full-time, and so I have tried, and keep trying many different ways and methods of earning money from my blogs. Additionally, if you’re interested in a blogging community where you can learn how to turn travel blogging into a business, Travel Blog Success is a fantastic online course, run by David Lee, an online travel blogging friend of mine. His course is an excellent place to learn about how to start a travel blog, be successful, and earn money from it – it covers tips on blogging, marketing, press, advertising – it’s also a great travel blogging network of other serious bloggers. Overall, at the beginning of starting your blog, I would encourage you to blog about what you’re passionate about, and to be persistent. Nope, I didn’t blog from this view, but I did eat a meal while enjoying this view, and then blogged about it later. Starting a blog has proven to be one of the most rewarding things I’ve ever done, opening the door for many other opportunities, and allowing my wife and I to be full time travel eaters. If you have internet access, and a small budget (even if you don’t know anything about web design or code), you can easily start your own travel blog (or a blog about anything you like). First, register your unique domain, get hosting, install WordPress, improve the design with a theme, and then start blogging. I hope this how to start a travel blog guide has been helpful. Don’t wait around, now is the time to start a blog. You never know what opportunities will arise as a result of creating and maintaining your own blog! Please let me know if you have any questions about how to start a blog by leaving a comment below. I would love to hear from you, and I will do my best to answer your questions. *NOTE: Some of the links in this guide are affiliate links, and if you choose to purchase I will get a small commission, but at NO extra charge to you, which will help me to continue maintaining migrationology.com. Everything I mention in this article is what I personally use and recommend. 134 comments. I'd love to hear from you! Yeah, so we can share our experience to all ! This is amazing article for the beginners point of view. It’ll help them to boost up their confidence and it’s really helpful. Thanks mate for this great article. I appreciate the way in simple words you explained. You are welcome Victor, thank you for your support! Have a great day. Awesome post. It seems like we’ve been too lazy with our SEO. Time to fix that! Nice tips and trick Mr. Mark ! Please come to Lombok again hehe.. Awesome post, I am too going to start my blog. Great post, and detailed as always… thanks for inspiring people to start their own blog! Nice tips. Most introductory articles usually just refer you to wordpress without mentioning the advantages of having your own domain and dealing with your own hosting. If I have multiple interests do you think a multi-topic blog with proper categorization would be suitable? 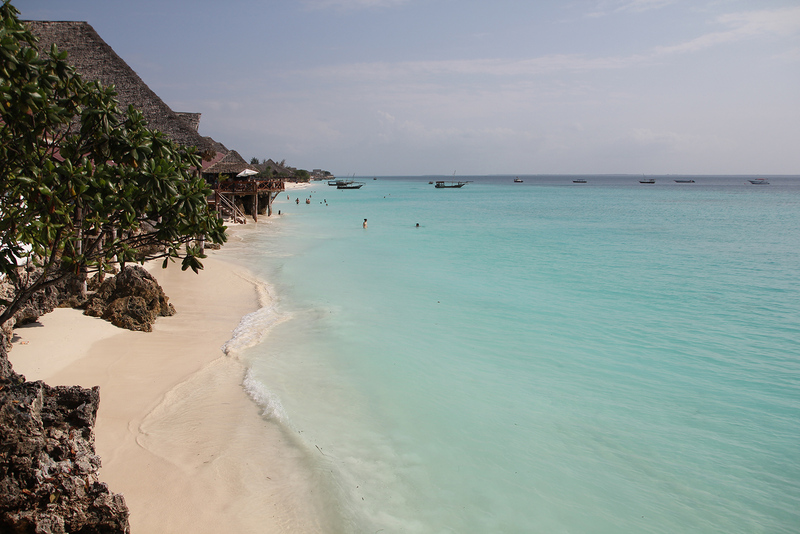 About that last photo, is that in Zanzibar? looks familiar :p.
Great article, so far I have done everything and I am happy, apart from my theme. I have changed a couple of times, but always after a few weeks I start to feel I want a new one. It’s a bit of a blackhole! This is a very resourceful article. Its an eye-opener to me. Be blessed Mark! Mark, I’ve been a fan of yours for a long time. I am a traveller too and am inspired how you’ve taken your passion for food and travel to this level. Thank you for sharing! One of the most comprehensive post I have ever read! I am very happy to see that you share all the experience of years. That’s truly helpful for new travellers especially the young backpackers. Thank you so much for sharing! You have shared very useful information, especially for beginners. This was super helpful. Thank you and keep up the inspiring work!! I found your article very informative, especially for the beginner. I have watched all your episodes, travelling and eating foods in my country Bhutan. Great Article.I got a clear concept.Now I can build a personal traveling blog.Thank you so much for share this informative article. I know you have shown some equipment you use, but do you use a special camera as you walk and talk, as you go from Isle to Isle n is it on a stick. I was curious, as in the future I may do some food blog with my grandson, who has a business, doing consulting work in Washington D.C. He loves food. But first he needs to sell his Business and I will show him your web site. I like to start with Hawaii going from Island to Island to show the people who visit there whereks to eat where to go for fun n entertainment. Thanks Mark I watch you show everyday. Thank you, I have come across your videos as I love traveling, food and culture and giving useful informations to others who also like this. But I have always been scared of my lack of knowledge regarding coding and understanding everything about it. As I looked at your videos, they are so great and kind of hypnotizing, as you do talk with a passion! I think it’s awesome for you to share your personal knowledge, I am very sure as myself others appreciate this. Thanks for the inspiration and your great videos! I wish you so much more success! 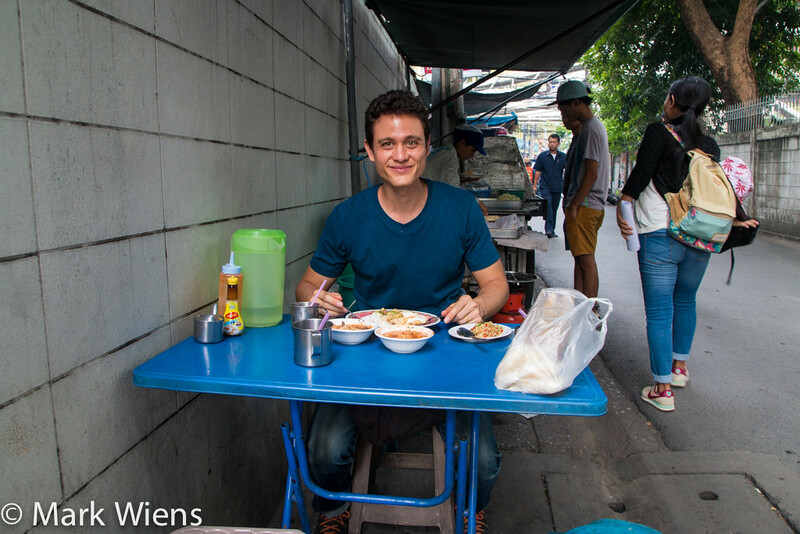 Coincidently, I ran across your youtube channel, Mark Wiens, where I was astounded upon the glorious expeditions that you experienced on your travels – I was truly amazed my your journeys and varieties of food you tasted as well as enjoyed. I then stumbled across your video of (How I make money while traveling the world (and eating)); you spoke about blogging and now I am inspired to blog – I myself love to travel and take pictures, and I now know what to do with them. Thank you Mark for providing me with an insight to the opportunities available to me. I really appreciate you putting up this guide to help aspiring bloggers, such as myself. Thank you! Wow, I should start sending my clients to this page! Good thing I don’t do a lot of side work anymore and at work, I don’t really have to explain what domain/server/hosting/etc is. Love this though!!! Nice starter guide… once these few things are accomplished, so much of it is on the individual to learn and to take things from there. If there’s one thing we’ve learned, it’s that you can NEVER be comfortable with your knowledge level as a blogger. Hi Mark, I have signed up with bluehost and installed word press, how is it i cannot find my website on google? Do i need to do any extra steps? i have already added my url in google which is the SEO process. Could you tell me if i miss something? Thank you! There is more to SEO than just adding in your URL. Content plays a big role too, of course the more content you have, the better it is for search engines. Getting backlinks, like having a well known blog site (like this one) link to your site will also help. But if you type in your domain in google search, it should show up. I am from Indian, i have been seen your videos last 1 years. I would say keep it up.. Thank you very much Susil! My self, wife and our 12 year old son are a great fan of you. 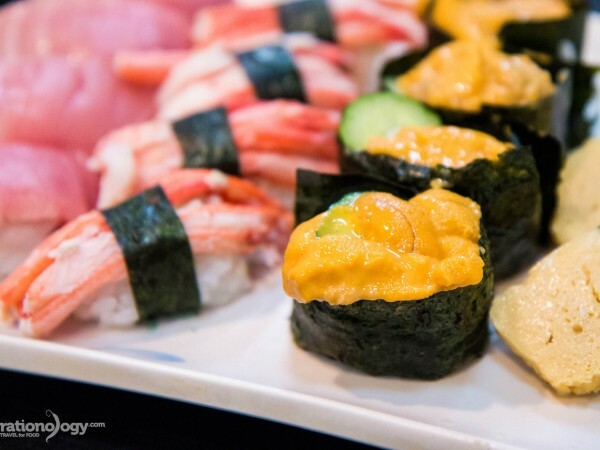 We love to see your food and travel videos in youtube. Have you been to Lakshadeep island and Srilanka? I would like to know more about their foods too. We live in Seattle, US but originally from Kerala, India. All the very best to you. Keeping adding more videos. Happy to hear from u Anish. An other Mallu from Dubai. Watch our travels at passportpagestories.com too . I’m a diehard follower of Mark indeed. Keep vlogging Mark u r amazing. Hi Mark, I came across your blog, when I searched best restaurants in Prague, Czechia. After exploring all the sections, I think, there is no information about our lovely city. You should come to Prague and write another amazing article for your blog. I hope we will see you one day! Good luck with your blog and business. Hi there! Love your website. I found it through my search for info about blogging. I’ve been toying with the idea to start my own foodblog for a while now and I’m almost there. Since I’m from the Netherlands, I’ll start blogging in Dutch…so no worries ;)! I have one question though: what would you recommend for data storage? I’m planning to make a lot of photos of the recipes I’ll share and I have no idea how much space that’s gonna cost me. Could you help me out a little bit? Thanks! In the meanwhile I’ll keep visiting your wonderful blog – it’s very inspiring! I have noticed that you book a business grade flight. Is that sponsored by someone or you have to pay ? Hey Terry, from Bangkok to Bhutan? 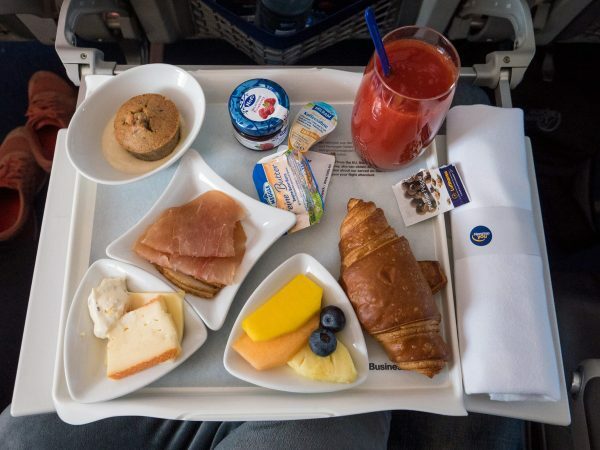 I paid for my flight for my wife and I, and we had to fly business class because economy was sold out – luckily business class wasn’t much more expensive. Well explained. Very interesting. I would like to start my own blog soon. Hi Mark, your blog is informative and helpful for food lovers and tourist as food lover i am requesting you to visit southern part of India, Kerala waiting for a video about spice land from you. Thank you Mark for your wonderful blog and videos keep up the good work. Hi Anish, thank you very much. I would really love to visit Kerala in the future, thank you! You are using Smugmug and upload double the image ratios, right? Thinking about sitting down and re-editing all of my images now – do you have good experiences using Smugmug (good for the long term)? Also, what if in 5 years or so Apple brings out new Retina displays (like “Super Retina”), and once again these images look blurry – will you have to re-edit and re-upload once again? Would love to hear your thoughts on this Mark. Good to hear from you, yah this is always an issue. I’m using smugmug and have been happy with them the last couple years. I normally upload to full resolution on smugmug, and then go with the XL size when I embed. But that way if sizes go bigger then you still have the originals uploaded and can just add in a different size. Hope this helps! Hi Mark, thanks for the advise. I started my blog in 2012 but I stop writing in 2014 because I went to school but now I started writing again. My husband and I used to live in Bangkok but we still split our time between US, Thailand and Philippines to visit my family! Any tips on how to attract more followers/readers on my blog? I’ve been updating my social media but still few readers on my blog. I write about travel, recipes, and powerlifting (my three passions). Thanks in advance! This is to promote our condo to tent as well as post our travels and food. I know you are a busy man now but your comment wil be appreciated. Howd the baby doing? I really like how you explain in the article how to make a blog. I will be starting my own blog very soon hoping to make it before 2017. Great guide, Mark! Like you, I use many of the same resources—Derek Halpern is a conversion genius and Travel Blog Success was instrumental in helping me get serious about travel blogging. I owe much of my successes to those two! Loving the food videos, man. Keep up the amazing work! Tnx sir Mark …Rose Marie here ( Facebook from Singapore , remember) I really learned a lot from this …. I really really want to create a blog of my own ….. Cross fingers n goodluck to me ???????????????? Good day! I know thks is kind of off topic but I was wondering which blog platform are you using for this site? Hey Mark — awesome resource and website! But what is your advice to promote the blog and/or IG page? My wife and I have been traveling for 3 months and have been somewhat successful with a few features but it is very hard to get a good set of followers. Any advice? Hi Mark, your advice is very good and simple to follow. i am now interested in blogging, as a writer it may help me a lot. I am just thinking what topic should i cover. Thank you very much and more power. Thank you so much for sharing on how to start a blog. Thank you Mark for all your helpful tips! We are taking steps toward relocating to Chile permanently with our family of four and English Bulldog, Winston. We love your travel/food blog and I was so happy to hear that you have traveled Chile! I would like to start a blog now about our North Carolina to Chile adventure and the challenges and triumphs ahead. I would also love to see your original Chile blog with posts and pics! It is so hard finding info online from other expats mapping out the process of relocating and starting a business in a foreign country. All the best! Hi Kelly, awesome to hear from you, and that’s great that you’ll be relocating to Chile. Starting a blog would be a wonderful way to share your experiences. I have a couple of really really old blog posts from Chile! https://migrationology.com/churrasco-completo-chiles-complete-beef/ But it’s a country I’d love to visit again. Keep it up and looking forward to seeing your blog! Hey Mark, once you have your blog up and running, how do you get the word out about it so that people start finding you? Are there sites you can submit your URL to? 1) SEO (search engine optimization) – optimizing your blog and posts for search engines, so people can find you when they search. 2) Guest posting, or making connections to get featured on bigger websites or magazines / news sites. 3) Social media – Building out your channels. One of the main methods and people find my blog now is through YouTube videos. what kind of music do you use for your videos? Hey CJ, I use a real mix of music, try to keep it pretty positive and upbeat – a mix reggae, Indie alternative, and electro. Hi Mark! Thanks for your sharing about your blogging experiences and this helpful articles. I thought of having a personal blog with my own domain name for long time but don’t know how and where to start from. It’s great I found your post. But as a beginner, please allow me to ask your few questions to clear my doubts. 1. Is the domain name is good to use your own name? For example:stephenheng.com, so that people who knew me can find my blog easily. Or the name related to my blog which I going to create? 2. If I want to have 3 website (or call webpage? 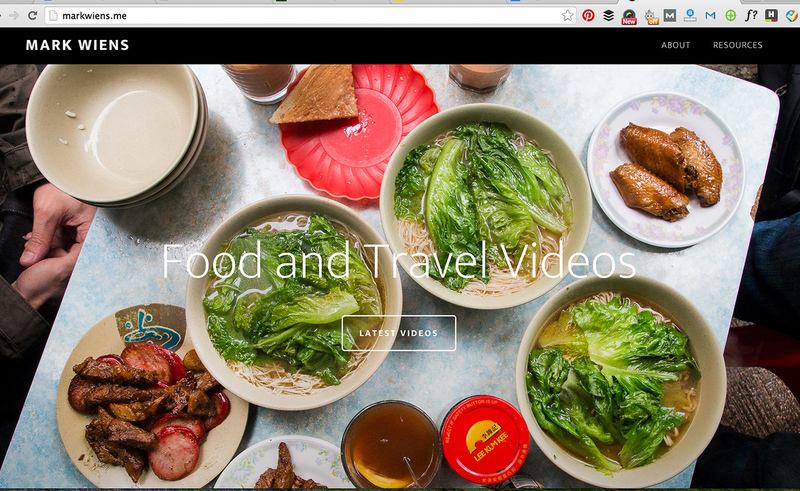 ), for example: I want to have 1 travel blog, 1 food blog and 1 stuff selling blog. Should I say that I need to purchase 3 different domain name? 3. You mentioned to install the plugins in this article, is this come with the package that I purchased? or I need to buy it separately? 4. As a blogger, which means I need to pay for my domain name plus the WorkPress subscription fee yearly in order to run my blogs continually? Hi Martin, awesome to see your blog and story. Thank you for sharing, and keep up with the blogging and trip! Hi Mark, Thank you for this information, very helpful. My question is: I have a YouTube Channel about traveling, and I would love to hear from you how to start vlogging while I’m traveling? – How can I put a post code for me if I need to monetize my videos? – Should I upload vlog on a daily basis?. – The vlog is about traveling, how long each vlog should be? – Do I need to create a new channel for my vlog or just the same one I use?. – Do I need a website like yours? – Do you agree that’s people now love to see videos more than reading about it? Thank you very much for time, and sorry for the long comment. Hi Joe, thank you for the comment and questions, and appreciate your support. 1. Do you mean to register for monetizing videos? 2. It depends, if you have enough ideas and can maintain it, it’s a good strategy. Otherwise stick with a video publishing schedule, like 1 or 2 videos per week. 3. I would aim for 5 – 12 minutes or so. 4. That also really depends on your aim and goals and what you think your audience will like. Maybe publish a vlog on your existing channel and see the feedback. 5. I think a website goes very well with a blog – because you have a website where viewers can get more information. 6. I think video has potential to be more engaging, but it all depends on the person. Hi Mark! Thanks for sharing out about blogging, setup etc. I’m being travelled several country in SEA. But all my photo like you said sat in my computer. I felt that its time for me to blogging and reading your post of this is best timing. I was think to blogging about cultures, travel, food, backpacking tips. How do you think ya? I have just started a blog and I am still learning. These are really great tips. I have saved it as a bookmark on my browser because I would definitely use your tips as my guide. Thank you very much Kreeti, great to hear you’ve started a blog as well, keep it up! Hi Mac, good to hear from you, glad you’re thinking about setting up a website! Hey Sanket, good to hear from you, glad you’ve set up a blog. As for promotion, content promotion and link building are the things I’d focus on. I’d recommend http://backlinko.com/ Thanks! Thanks for the info man. It’s tougher than it sounds. I started my blog 6 months ago and there’s so much that goes into it that it can easily become more than a full-time job. I tried video editing and man, it’s a lot of work! Much respect Mark…and your videos always make me hungry! I really love your site and this post is inspiring! I wanted to ask, right before the conclusion, there is an outstanding picture! Where is that? Thank you very much Jeremie. That photo was taken in Zanzibar. Hey Mark, thanks for the post. I won’t be exactly starting a travel blog but a blog nonetheless. Either way I will be able to incorporate some of your tips mentioned. Thanks again. Thanks for reading Richard, glad it’s helpful. Mark, you are awesome sharing these invaluable information. Someone like myself with no blogging experience, these step by step info in laman’s terms are wonderful. Our trip to Thailand is 2 1/2 months away. We still have not firmed up our plans on hotels & destination & tours. If it’s okay, can I run it by you when I am done with that? As for the blogging, I am hoping to create one before we go to Thailand so we can blog our trip. Again, thanks for your generosity in sharing your experience in so may ways. Hi Mark, thanks for this post. My wife and I are about to embark on a four month adventure through SE Asia and China, before heading to Europe to live, work and travel. We have been enjoying your YouTube videos and will certainly be visiting many of the places you have shown us. We will be setting up a blog in the next couple of weeks, so the advice you provide has come at the right time, thanks again. Hi again Mark, we have followed your steps and now have a wonderful new site for our travel blog – travelkiwis.com. Thanks to your advice it was a very simple process. We head away on 14 Feb to Australia, Singapore, Malaysia, Thailand,Laos, Cambodia, Vietnam and China, and we cannot wait to try some of the fantastic food we have seen on your videos and now we can share our experiences with others through our blog. Hey Stephanie, great to hear from you, thank you very much for reading, and glad this is helpful! your video on how to start a travel blog is very helpful with the 5 steps. It really inspired me to start my first blog, so will definitely use your 5 step as a guide. You’re welcome Vera, glad it’s helpful! Hi Mark, thanks for such an informative post. I’m currently living in Bangkok and teaching English, but have thought about starting a blog about travel and photography. I was wondering, since you have to invest money(even though it’s a small amount) to get the blog up and running, how long is it before you’re making a return on the investment and gaining profits? Obviously this would vary, but on average? I guess using ads as well as having some product to sell is the way to make the money right? Thanks, Simon. hello Mark thank you so much.. how many times ive to make and start blooging about myself and others things that i loved but I,m less knowledge on how to start a blog. thank you for this ideas and knowledge …. Hey Arcy, thank you very much, and glad to hear this is useful. Really appreciate your support. Let me know if you have any other questions, and hope to see your blog in the future! Hey Mark. I absolutely love the current look of your Migrationology website. I am thinking about creating a blog for when I visit Japan next year in 2016. Do you use any child themes or use the Genesis Framework with basic HTML to customize the blog page all on your own? Hi Delwyn, nice to hear from you, glad this post is helpful, and that you’re going to start a blog. Glad you attend Greater Grace World Outreach, will check that out on the website. Thanks! I love watching your videos on Youtube, im from Acuna Mexico, one of the borders with united states, i just wanted to thank you about your blogging and your writing about food and traveling, i love food too and you have encouraged me to start traveling one of these days. Thank you so much very much for this post! It’s very informative and easy to understand that the next day I got my blog live (just need to work on the design and contents). Ive been meaning to start a website for many years but never got the courage to do it. After seeing your how to blog, it really got me excited as its something I can manage. I can’t thank you enough for this, not only will I able to share my experiences with others but I finally found something that I love doing. My husband and I follow your video’s and these are just awesome, we just love Thailand! Hey Monica, it’s awesome to hear from you, and congratulations for starting a blog. So glad that you found something you’re passionate about, and that you can write / share it with others through your upcoming blog. Keep it up and if you have any questions, please let me know! Hey Fey, nice to hear from you and thank your for following. Glad you started a blog too! I wish I had this when I first got started (with other sites/blogs) lol. I learned all this stuff manually and almost went bald. I looked at some of your old videos – and they are totally different than what they are today. We sort of ‘evolve’ and learn as we go. Many people seem to fear ‘starting’ when they don’t know everything, yet. But some of the best blogs, sites, and even companies were founded when they had no clue what they were doing in the beginning. Haha, thanks for sharing Brock, yah you and me too! I think that’s really been the case for myself as well. Eventually you can’t really do much more research and you just have to go for it, and learn and adapt as you go. That’s great advice. This is a great post to get people started. It’s exactly how I started my own site. I have a question though, how do you get actual income from the site? Once you start getting people to follow the blog, you want to be able to generate some kind of income to help pay for the costs of hosting and such. How did you go about it? Hey Shailender, so great to hear you’ve started a blog, and I’m so happy to hear this post was helpful. Keep up the blogging! Can believe I stumbled across your website as I was watching your videos a long time ago while I was traveling in Bangkok. A few years after Bangkok, I decided to start my own blog and right now I’m looking for helpful information about blogging. I was using some of your tips to start and right now I’m proud that my blog went online. Thanks a lot, and keep up a good work! Hey Anca, great to hear from you, thank you for reading and for sharing your blog! Your blog looks great, I’m loving your illustrations. Keep it up! That’s very nice to hear! Good post, Mark. Thank you. Hello Mark, I watch your videos whenever I can. I was wondering, Your logo, How can I go about and make logos like that ? like you had a backpackers foot for the L or now recently a chili. hi mark thanks for your great videos always helpful and very inspiring!! i have a few questions for you. If i sign up on bluehost for the hosting do i still need to pay for using wordpress? and do u recommend to buy the sitelock security and search engine jumpstart from bluehost? Hi William, good to hear from you. No, if you have a hosting account, you don’t need to pay for wordpress, it’s open source, and free to use. Sitelock security might be a good idea, but you can probably do the search engine stuff all on your own using Yoast WordPress SEO plugin. All the best! Nice choice of topic I would say and you are so good in explaining stuff. Just understood how bloggers usually pour themselves out there enclosing all the magic they experienced. A huge thank you for it is a real guide for me to do something. Hi Asmita, thank you very much for your kind words, glad this is helpful. Dreams were once scary for me and I should admit that I wasn’t that adventurous to take them in my hands, stand against people to follow them. You’re eight family does come in the way and the commitments may line up but it all depends on how we meticulously handle things so that our dreams are guarded to be accomplished but not at the cost of others’. Hi Nathalie, glad it’s useful, thank you! Was a good read Mark. Has been great watching you evolve over the years in your blogging, and especially concentrating on your food niche (what a great niche to have)! I tell other travellers when they learn about my blog that it’s easy to set up and start blogging, but like you said just make sure you are passionate about what you do, like travel. When I started almost 2 years ago now it was as a hobby, partly from so many friends saying I should write a book about my travels and I figured it was easier just to put a blog post up now and then, which turned out still to be a lot of work at times! Now I am concentrating on taking it much more seriously. 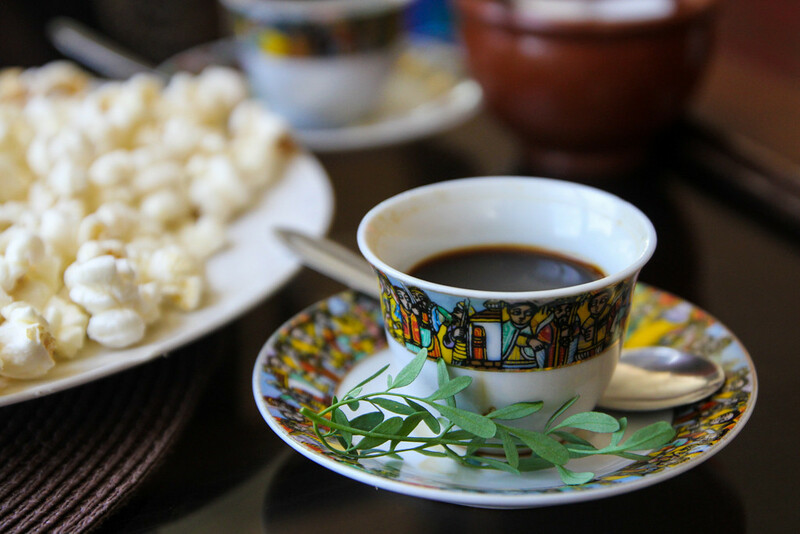 My blogging began in Ethiopia when I didn’t really know how to write well but loved the photography aspect. I also had bugger all followers! I saw your name Mark Wiens start to follow me on Facebook from an early stage, and I knew who you were from following you and other bloggers for a while. Having a respected established travel blogger follow me when no-one knew who I was was pretty cool. So cheers for that! Wishing you and your wife a life of happiness and continued online business success. Hey Jonny, great to hear from you, thank you very much for sharing. What I really love about your blog are the unique and off the beaten path adventures you have, and your friendly personality that shows through your blog. Keep up your great blogging as well! Hi Mark! Thank you for the informative post, i have followed your steps to start my own site. The only problem i have is that the installed plugins made it so slow that is impossible to work with it now. I cannot make any edits as the wordpress dashboard will not load. Im not sure what to do about this. Any ideas? Hi Ri, great to hear from you, glad that you’ve started a website! Were you able to load your WordPress dashboard yet? I’m not sure what could really be slowing down your site that much, if you only installed wordpress and a few plugins. Was your site alright before you installed the plugins? If not, you can access your files through your host, or a third party FTP, and you can manually delete the plugin files and then hopefully get back into your dashboard. If that doesn’t work, or if you’re not able to access anything you may need to either re-install wordpress, or contact your host. Let me know if you have any updates. Thank you for the reply! So i’ve deleted the plugins through my host and reinstalled them again, am happy to say that it is working fine now! Now all i need is to find a suitable theme for my site! Thanks again for this post and for being such an inspiration! Please continue making more food videos cos they are awesome! Fantastic Ri, glad it’s up and running now. Keep it pretty simple at first, and as you continue to publish content, you can improve your design. What will you be blogging about? Hi Jason, great to hear from you, thank you very much, glad this is helpful. Would be great to meet you! Hi Mark! Thank you so much for the useful information about blogging. I’ve recently started a culture blog about Thailand, thus your info comes in the nick of time 🙂 I’m very much interested in Thai popular culture and I hope that I stay passionate about this subject for a really long time. Like you say, the most important thing about blogging is to stay persistent. Your blog and videos are a great inspiration for me! Hi Sirinya, great to hear from you, and to see your blog. That is very cool that you’re blogging about what you love, Thai culture. Keep up the blogging! Hey Mark! Thanks for this amazing post! It’s great to have all this helpful information put together in such a useful way. I read your blog and watch your youtube videos all the time. 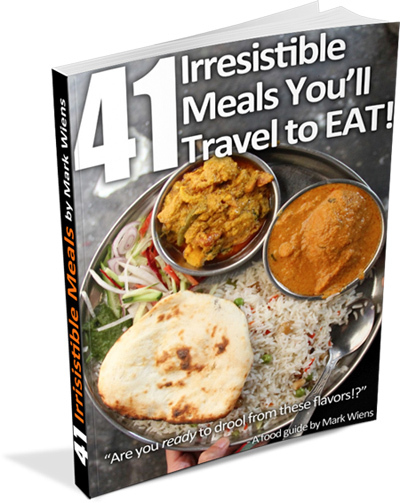 They are a great resource for inspiration and food envy! Quick question (or can you direct me where best to look) I started a small travel/food blog a few months ago based out of wordpress.com. I’d like to move over to my own domain but have been hesitant as I don’t want to lose my content. Is there a way to easily transition between the two, or am I fighting a lost battle? The one thing that would concern me, and I’m not sure of the answer to this, is how it will affect pagerank and your search engine rankings for articles after you migrate, and also the redirects of your permalinks. Also make sure you backup. If you purchase a host, this is something you could ask them before you do anything. Great thanks so much for this Mark! It’s a huge help! Look forward to more of your articles and videos!